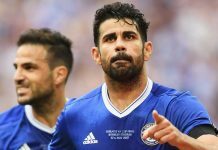 Diego Costa – A steal a £32 mil? There was a sense of deja vu on Monday as a much younger, fresh faced goalkeeper was installed to the first team to replace the established veteran, but Mourinho’s decision leave Petr Cech on the bench and leave weighing up his options can be for business reasons. At ten years Cech’s junior, arguably already a better goalkeeper and both having 2 years remaining on their contracts, identifying Courtois as Chelsea’s new number 1 is a selection for the next ten years in mind, but also because the Belgian international is a greater asset. With Cech now rumoured to be leaving this summer, and a need to reluctantly sell a foreigner to meet the Premier League squad quota, the Chelsea legend move is a plausible possibility. Cech should stay, for now. If there is one thing learned by Cech’s slight decline since his peak years of 2004-2010 is strong competition for the starting berth is needed to maintain a level of performance. That’s something a Cech can give a 22 year old debutant. It’s hard to find a good striker these days. It’s been even more difficult to get one for a reasonable fee lately, with the likes of Falcao, Cavani and Suarez transferring for big prices. Yet with Diego Costa’s debut marked with opening his account, the missing element for a complete side could be discovered. A goal against Burnley doesn’t prove anything, but on the back of last season’s performances for Athleti and with his positioning, self-assured first touch, good hold up play along with being the striker that fits Mourinho’s needs, a prolific campaign is on the cards. Logically speaking football is a simple game. The more you have possession the fewer chances you concede. Pointers will charge last season’s league failure to goal shy strikers and defeats to inferior opposition. Monday saw the flipside of that, with the defeating of Burnley characterised by composure and possession, taking a comfortable 2 goal lead in the second half allowed to strangle control of the game by keeping the ball and playing miniature games of pass-the-ball-to-death. Last season was a struggle to kill games off; Monday’s showing indicates that that checkbox may well be ticked. Not many signings would have ruffled as many feathers as the signature of former Arsenal captain Cesc Fabregas this summer, but with the London side declining to re-sign the Spanish international, it allowed Chelsea to swoop in and reap the benefit. Brought in to provide the void created by Frank Lampard, Cesc’s debut provided enough craft and creativity in the first half alone, that he is already being earmarked as signing of the summer. Playing alongside Matic gives the midfield balance and with the range of passing in his locker, can open defences from deep. Expect to see more assists rather than goals. It’s an obvious point that Chelsea alongside man city has arguably the strongest squad in the league, and would not be surprising to see the two sides fighting to the death this season. Seeing Drogba enter the fray on Monday carrying all his experience is invaluable, but along with Courtois, Fabregas, Costa and Luis added to the squad the team already looks in better shape to battle on all fronts. The team have had the year to mature, learn from mistakes, be able to park a bus and play attacking football, and all this combined is design for a stronger squad.